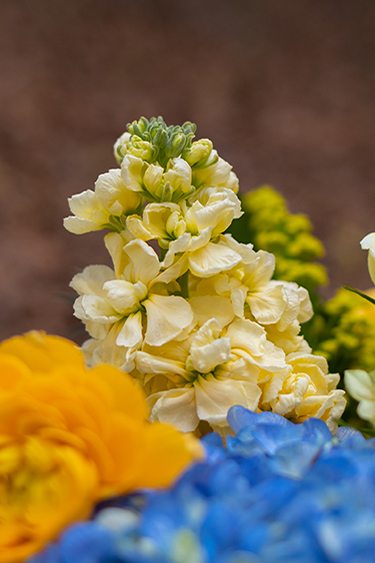 Corey is at it again with another colorful design to help brighten everyone’s day! 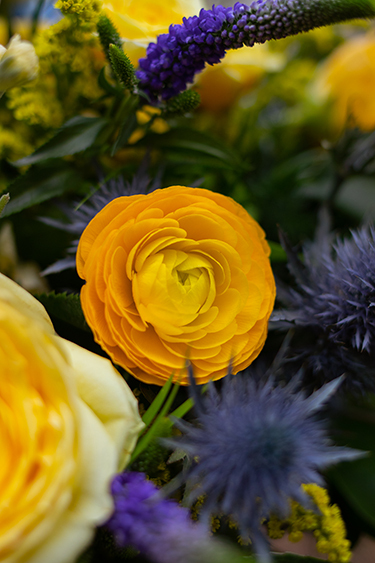 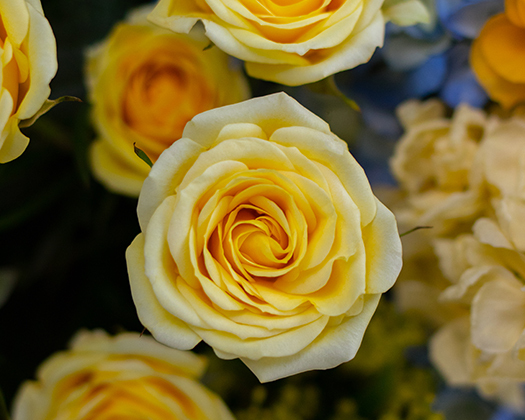 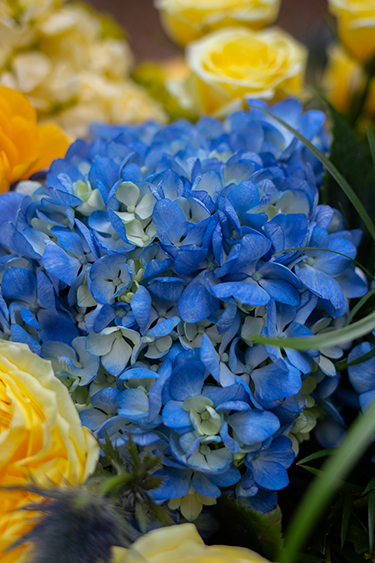 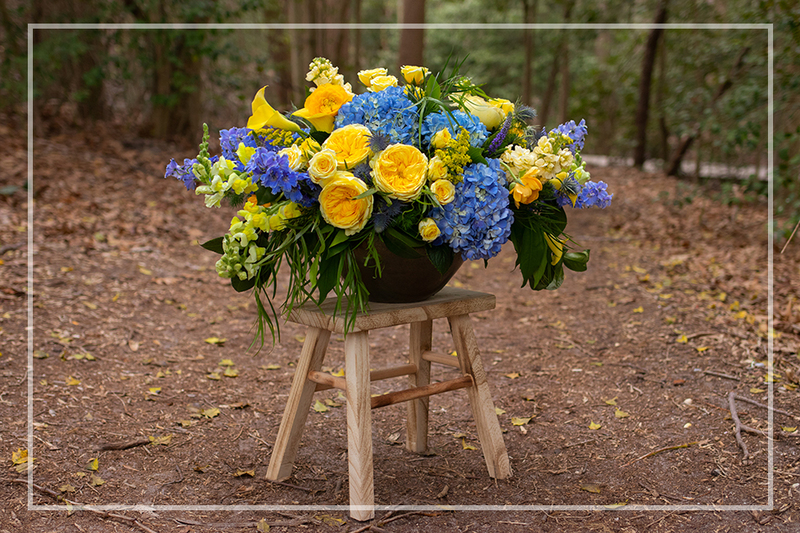 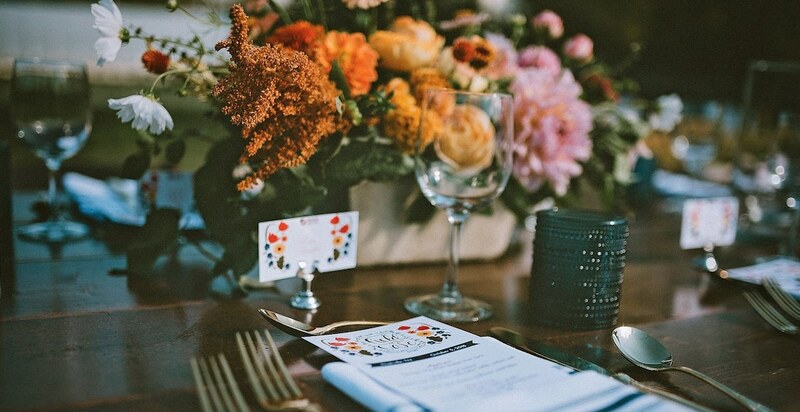 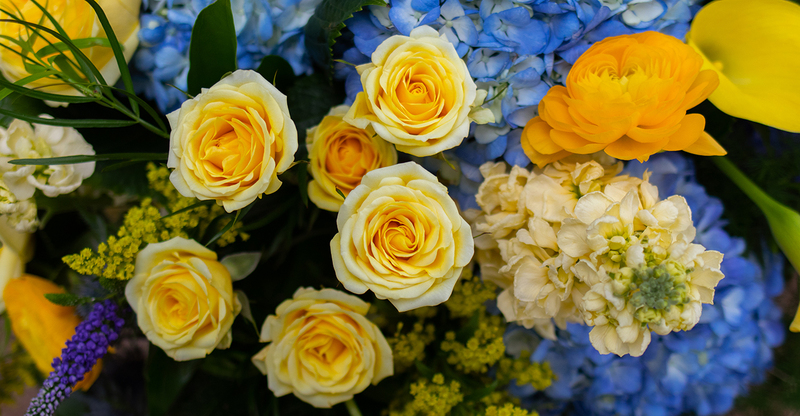 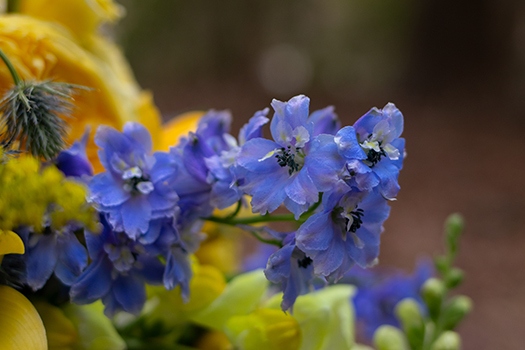 We simply love how the Yellow Catalina Roses (51993) and Lemon Brilliant Star Spray Roses (20502) play along with the Blue in the Delphinium (33114) and Shocking Hydrangea (43323). 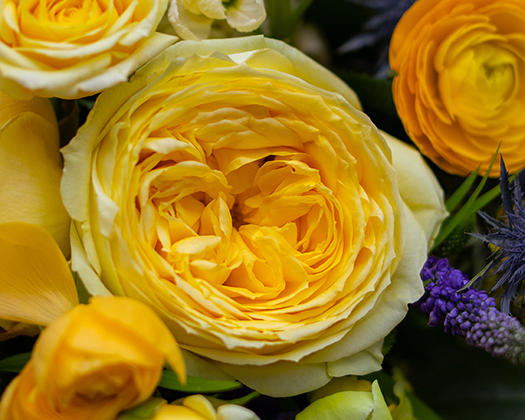 He also mixed in a few stems of Yellow Ranunculus (41365) from Rio Roses, Cream Stock (25061) from California, and Flexgold Mini Cala’s. 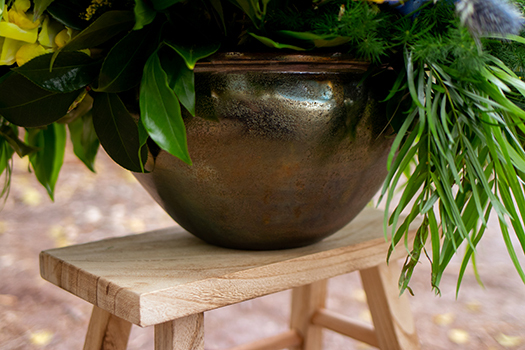 And of course the Gold Vigo Bowl (SA101) from our friends at Accent Decor just help to bring the whole design together.